At Spherotech, Inc. you can work for one of the world's leading microparticle manufacturers. You can help us to achieve our purpose - creating technology today that improves the future of tomorrow. We count on a group of highly talented people who are the best at what they do. At Spherotech we value diversity; we value ideas; we value innovation; and we value you! Career opportunities for Spherotech are now accessible through our corporate website. Spherotech, Inc. seeks a college graduate for a Technical Customer Support Representative opening. Duties include, but are not limited to providing customer/technical assistance and Microparticle application support. Responsibilities also include representing the company through trade shows, technical publications, and presentations. Required laboratory skills include: Analysis of Microparticles using particle sizers, flow cytometry, fluorescence spectrophotometry, and microscopy. Spherotech, Inc. seeks a college graduate for a Manufacturing Associate opening. Duties include polymer synthesis, bottling, packaging, documentation, etc. This position requires a Bachelor's degree in Chemistry or related field. We offer excellent benefits including paid vacation, health insurance, dental insurance etc. Compensation commensurate with experience. Spherotech, Inc. seeks a college graduate for a Quality Control Associate opening. Duties include final product inspection, documentation, Quality Control testing etc. This position requires a Bachelor's degree in Chemistry or related field and a minimum of 1 year of experience. 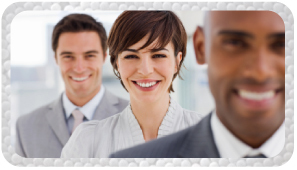 We offer excellent benefits including paid vacation, health insurance, dental insurance, etc. Compensation commensurate with experience.